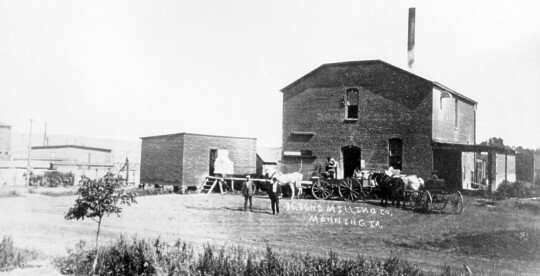 Some history of the Manning Agricultural Center Inc.
Manning Mill click on the Grain & Feed 148 - 152 link on the left and the scroll to Manning Mill. Below are obituaries of R. H. Doud and his wife Mary which will give you some background on this family. Royal and Mary Doud were the grandparents of Mamie (Doud) Eisenhower. Mr. R. H. Doud who is well known in Manning and vicinity, died at his home at 3744 Lake Ave., Chicago, Wednesday. 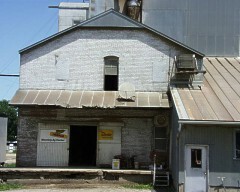 He was treasurer and manager of Doud Milling Company of this place from September 1898 until May 1901. Mr. Doud was a good straight forward honorable business man, was, well liked by everybody who knew him, and his death is quite a surprise to this community. He leaves a wife, four sons and one daughter to mourn his loss. The sons are all up to date businessmen. One resides in Chicago, one at Cedar Rapids, one in Boone and the other at Council Bluffs. The Monitor, together with their many friends, express the deepest sympathy for the bereaved wife and children. The following is clipped from the Drover's Journal, November 13th; R. H. Doud, father of James M. Doud died this morning at his home, 3744 Lake Ave, this city. Mr. Doud was very well known in packing and board of trade circles, having been in the packing business himself for many years. He was well thought of by his business associates. He was in his 63rd year. Funeral Friday at 2 p.m. at Oakwoods. Lowville, Martinsberg, Utica and Rome, N.Y. also Manning and Boone, Iowa papers. Mrs. Mary C. Doud, mother of John S. Doud, of Boone, and James M. and Eli Doud, of Chicage, formerly stock men here, died today at the home of her daughter, Mrs. R. G. Schaf, Newark, New Jersey. The funeral services will be held in Chicago, - Register and Leader. This was read with sorrow by a big majority of our Manning people, as Mrs. Doud was so well known and well liked by all here. She was a woman well met, always happy, had a pleasant word for everyone. Since their residence here four years ago, she has made several visits and enjoyed a trip to Manning more than anywhere else. She has been traveling a great deal since her husband's death, about a year after leaving here. 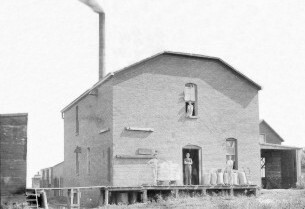 He was connected with the Doud Milling Co. Mrs. Doud was an active member of the Ladies Reading Circle and never forgot them on her travels. Only New Years' Day they all received a card from her dated at Newark, N. J.